Master Teacher Professional transforms your DavkaWriter Wordprocessor into a valuable tool for producing and printing original and creative puzzles, quizzes, and study sheets. 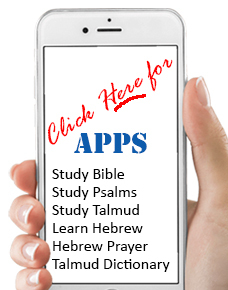 Create your word list using DavkaWriter, click the Master Teacher button on the DavkaWriter toolbar, and your words become captivating word searches, challenging crossword puzzles, fun word jumbles, enjoyable matching puzzles, and original quizzes – in Hebrew or English – complete with answer sheets. Master Teacher Professional lets you customize all of your projects, set clues, puzzle size, and much more. Since it works within DavkaWriter, everything you create with it is fully editable. Truly a Teacher's Best Friend! Saves lots of time and avoids mistakes. Master Teacher Professional transforms your DavkaWriter Wordprocessor into a valuable tool for producing and printing original and creative puzzles, quizzes, and study sheets. Create your word list using DavkaWriter, click the Master Teacher button on the DavkaWriter toolbar, and your words become captivating word searches, challenging crossword puzzles, fun word jumbles, enjoyable matching puzzles, and original quizzes – in Hebrew or English – complete with answer sheets. Master Teacher Professional lets you customize all of your projects, set clues, puzzle size, and much more. Since it works within DavkaWriter, everything you create with it is fully editable. A Teacher's Best Friend - Saves loads of time and helps avoid mistakes.